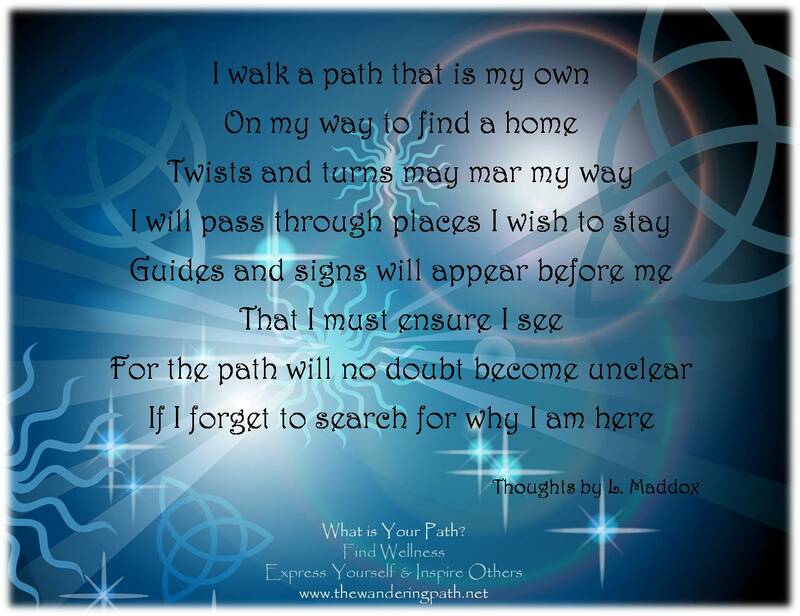 Good Evening all, it’s Liza, the Owner of The Wandering Path. Well my first weekend not opening my booth has now ended. I came down with Strep and rather than infect people I chose to stay home until I no longer felt the “ickiness”. I am also looking for part-time work again as I want to keep the business going as it really does touch on the things I’m passionate about. Anyone that has met me or has been following along knows I have a “thing” for exploration; finding things that inspire; helping people; finding health alternatives; and cultural exposure. I’m sure there are other things I’ve missed but those are the main things that pop into my recovering from ickiness mind. 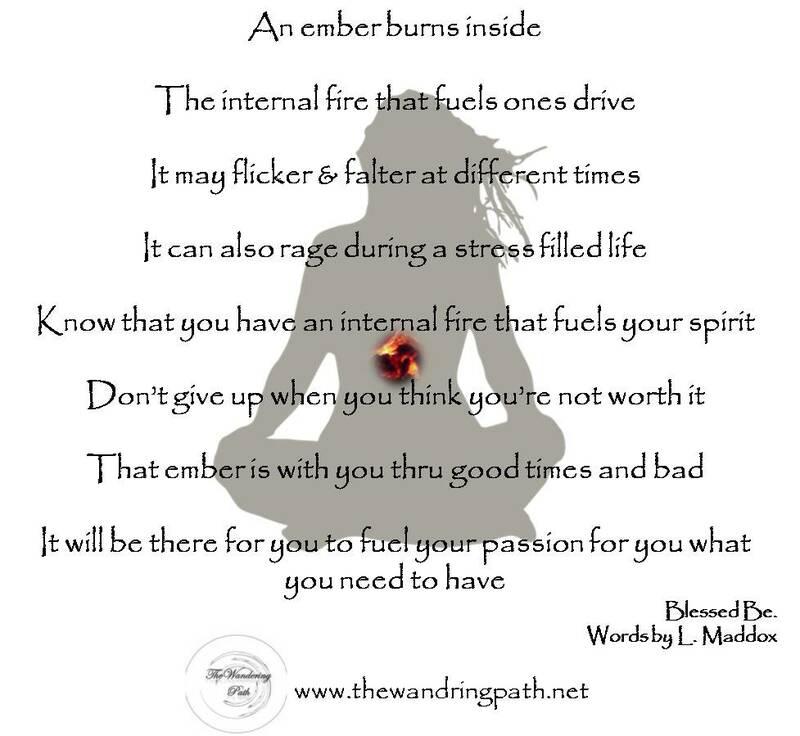 It had me thinking about that internal fire…that occasionally burns low and slow and can rage at different situations. We all have one and I think it gets a good bit of fuel to our spirit when we do things we enjoy and that we are passionate about. I hope you have found things that inspire you to explore and find new avenues that bring you joy and what matters is how YOU feel about it not what others may think. BB and rest well tonight! –Liza M.
Hello everyone, it seems that September has begun with the continuation of struggles or as we hope the final hurdle on some sections. The primary delivery SUV has decided it needs a bit of a breather so as we wait for the assessment to be done on whether it is a cheap/easy fix, we watch the Owner stress. We pulled one of her poems we thought we would share with you. She has always wondered why her path in life has had so many twists, turns, difficulties, etc…when others around her don’t seem to have so many roadblocks. However, she also says that the “powers that be” wouldn’t hand her something she couldn’t handle but she wishes at times they handed her a map too so she knew which way to go. So for today, as we wait to hear if she really can set up a booth this coming weekend and boost sales we just want to remind you all that your path is yours…and your travel of it will be different from others so try not to compare as you will eventually find your way or finally reach that place you can stay (physical or spiritual). Good morning everyone. It’s Liza, the Owner of The Wandering Path. I spent the weekend trying to work on a brochure to place a local spot to hopefully spread the word about what my shop has to offer. Yes, tad frustrating as I didn’t realize how much “stuff” I have and trying to quickly describe things can be difficult, finding my voice is difficult as I have too much to say about “how, why..” a particular item may help. This morning, as I stepped outside to place out the house payment…the sky beckoned to say the least. The clouds were magnificent and I can’t even describe just how “large” they were nor could even the photos I took truly capture their impact. 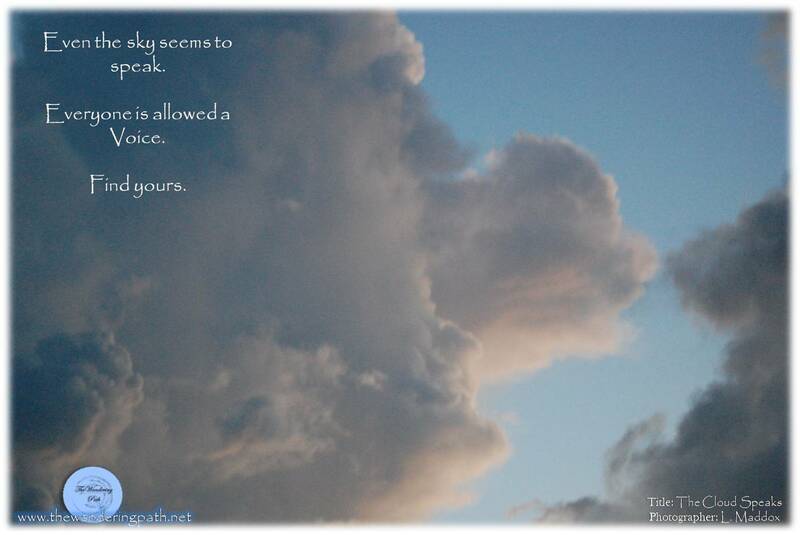 The one I chose to share seems to me as if the cloud decided to speak, it’s need to voice something burst out of it. I won’t taint your view by describing what I see but leave it to your imaginations. Be inspired and find your voice, wish me luck in finding and refining mine.